Anjali is a lawyer by training, working on regulatory reforms in the energy sector. At The Council, her research involves analysing the impacts of regulatory change on the sector and examining current contractual engagements to improve efficiency. She has also been working closely with the International Solar Alliance (ISA) to develop roadmaps for the deployment of solar energy in ISA's member countries. 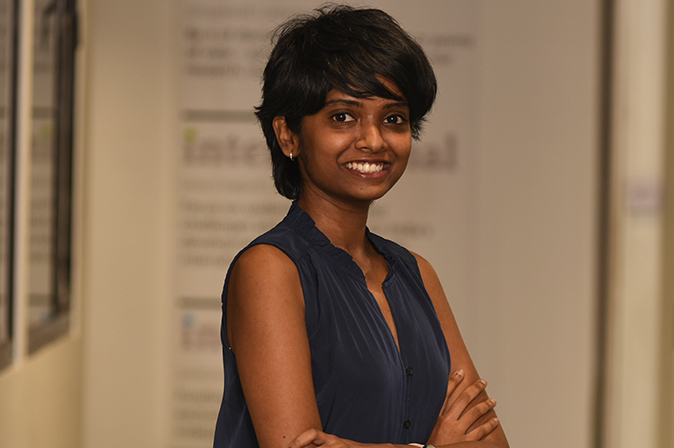 Anjali is also keen on structuring frameworks around governance issues, specifically to advance the development of technologies that could potentially deal with the mounting climate change-related concerns of the developing world. Her research includes examining effective structures for climate engineering research platforms such that concerns around transparency are addressed. She has presented this work at the Climate Engineering Conference, 2017. Anjali has completed her training in law from Gujarat National Law University in India. In her previous roles, she has worked extensively on energy projects and public-private partnerships (PPPs) in the Indian infrastructure space with some of the top law firms in the country, including Shardul Amarchand Mangaldas & Co. and Khaitan & Co.
You cannot buy the revolution. You cannot make the revolution. You can only be the revolution. It is in your spirit, or it is nowhere. Anjali is a highly curious, intelligent, and detail-oriented person. Her actions and recommendations are always geared towards equity, fairness, and justice. She feels very strongly about the issues that she takes up. She is a perfect fit for public policy- a potent mix of impatience and clairvoyance.